If you are having a problem with joint pain, you should consider taking a supplement to help in strengthening your joints and reinforcing joint and cartilage health. Such supplement can also ensure that you will be free from joint pain if taken regularly. There are several options that you can consider, such as Osteo Bi Flex and GNC TriFlex. Both are popular products used to maintain joint and cartilage health. Most probably, you are already wondering what the differences are between these two products. Let’s see below! 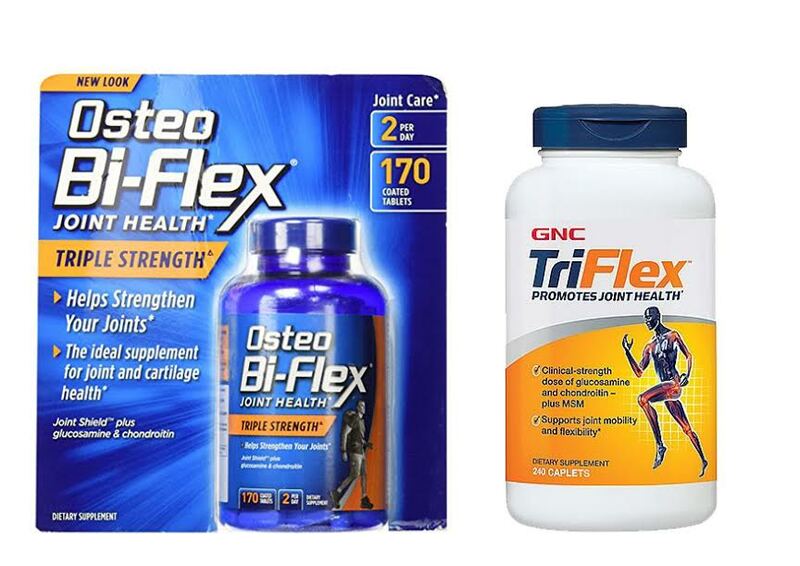 Both Osteo Bi Flex and GNC TriFlex are joint support supplements that function to improve and maintain the health of your joints and cartilages. They do so by providing the nutrients needed for joints and cartilages, as well as by providing the substances and compounds needed to repair and rebuild the “cushion” that surrounds a joint. Every joint in a human body is protected by a cushion that protects against impacts and ensures smooth movements. As you get older or if you experience osteoarthritis, the cushion may become thinner and stiffer. Taking supplements that contain substances like glucosamine and chondroitin can help to repair and rebuild the cushion. Both products here claim to be effective in strengthening the joints and supporting joint flexibility and mobility. Osteo Bi Flex is recommended to be taken two tablets per day. On the other hand, GNC TriFlex is recommended to be taken three tablets per day. Both recommend you to take each serving with some food. The key ingredients of a joint support supplement are glucosamine and chondroitin, because these are the ones that repair and rebuild the cushion of a joint. Each of the two products is coming with 1500mg glucosamine HCL. However, if we look closely at the labels, we can see that GNC TriFlex contains more chondroitin than Osteo Bi Flex. GNC TriFlex features 1200mg chondroitin sulfate, 900mg MSM, and 5mg hyaluronic acid. On the other hand, Osteo Bi Flex only has 1100mg chondroitin/MSM complex. But Osteo Bi Flex has been enriched with some vitamin C and the proprietary formula Joint Shield 5-Loxin Advanced that helps in relieving joint flare-ups, and it also has significantly less sodium. If you are currently experiencing joint pain, you should choose Osteo Bi Flex because it contains the Joint Shield 5-Loxin Advanced formula that can help in relieving the flare-up. If you are not having any joint pain at the moment, you can choose GNC TriFlex instead, because the key ingredients are of better amounts.